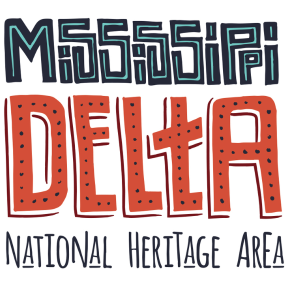 The Mississippi Delta, a complex culture and history with an economic heritage born out of a rich and fertile agricultural society. Unwritten rules dictate the culture, establishing boundaries between black and white, where to be ‘in between’ was to be invisible. 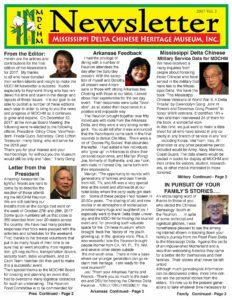 The history of Chinese in the Mississippi Delta is unique within a diverse fabric of ethnicities in this region. To tell one part of the story, one must tell all of the story. To date, there have been only a handful of scholarly works to tell this vibrant and essential history. Some works have been well received by the MS Delta Chinese communities, while others have fallen short of depicting an equal and balanced story leaving many in the community uncertain and cautious to share anymore of their history with the public. The rich and fertile soil of the Mississippi Delta, like a magnet, have attracted a potpourri of ethnic cultures to thrive and seek their fortunes in the post Civil War era. Families of Italian, Lebanese and Jewish ancestry have populated the flat and rich Delta region along with another culture, the Cantonese families of China, to seek their prosperity in the Southern climate of the new world. Click on our newsletter to read. See all event, past and present, by clicking below.